Optimize your performance! And your looks! 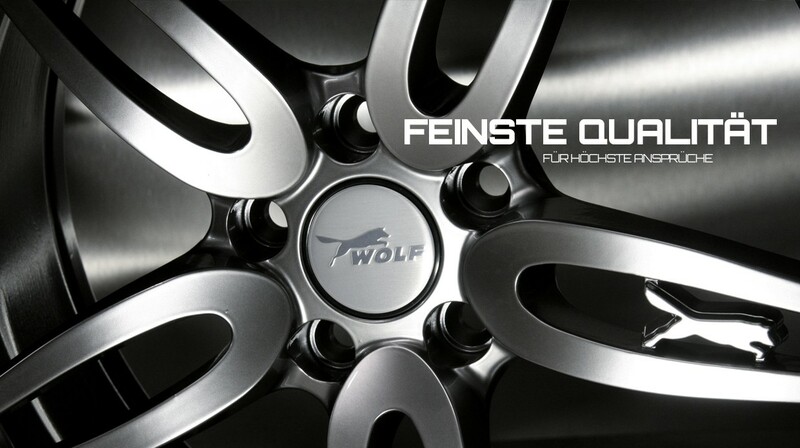 Our WOLF Racing light alloy rims & wheels have been designed and engineered by WOLF Racing, but manufactured and tested at the best known German wheel manufacturers. The typical WOLF design is light weight, dynamic, with splendid driving abilities and extreme high durability. Our rims & wheels are available in many different styles and colours, like silver, polished aluminum, anthracite, white or matte or glossy black finish. Very special is our stainless steel version of the rim base.